It’s that time of the year again and we are ready to rock and roll to bring Malaysia’s first and biggest environmental film festival to the forefront of environmental advocacy. 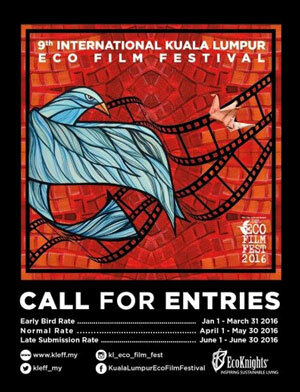 The 9th Kuala Lumpur Eco Film Festival cordially invites scientists, students, film makers, activists and just about anyone who has great environmental stories to share, to submit your film to this year’s festival film competition. 2015 has been a very interesting year for many Malaysians from the persistent two month long haze, to the recent rampant bauxite mining in Pahang, to the massive deforestation in Cameron Highlands and dwindling Malayan tiger population, Malaysia is definitely not short of environmental stories to tell. Early bird rates are still applicable up till March 31 2016. Kindly refer to the submission guidelines and submission fee structure here. 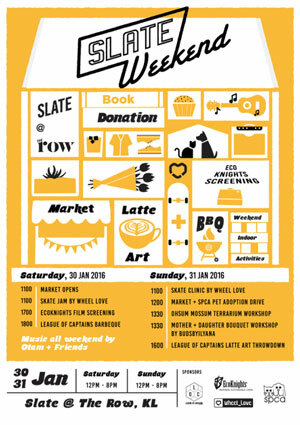 In association with The Row, the KLEFF will be hosting a free community screening on the last weekend of January and also promoting the 2016 Call for Entries. Come and check out some fun environment-themed animations and short films for free and check out some amazing activities and workshops that are lined up. Refer to the flier below for more information. For up-to-date information, log on to KLEFF’s FB page. 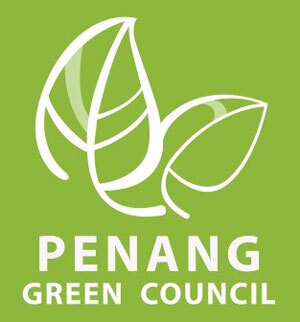 KLEFF is honoured and excited to be partnering with the Penang Green Video Contest, a program under the Penang Green Council (PGC) this year. The partnership will see winners and wining videos of the Penang Green Video Contest automatically qualifying for the KLEFF categories. In addition, the submission fees will also be waived for the winners and winning films in this year’s film submission for KLEFF. Click here to read more about this. For the fourth year in a row, we are honoured and humbled to be working in partnership with MAP Publika again to host the 9th KLEFF in their venue. We would like to thank the amazing team at Publika for having faith in us and has helped us grow the festival year to year. So stay tune for updates in the second quarter of the year for announcement of fun festival activities and programs for communities.